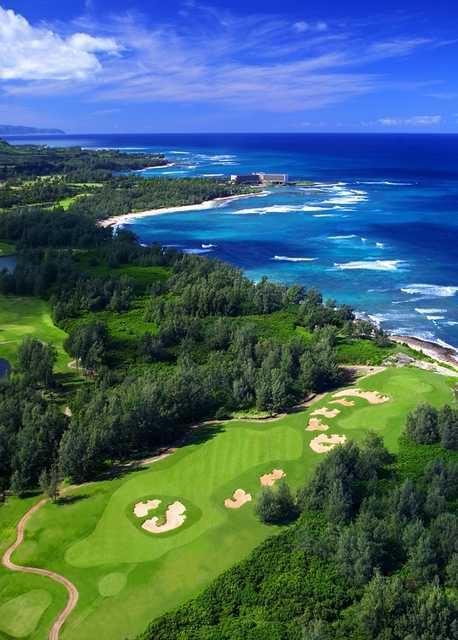 The Palmer Course at Turtle Bay Resort gives you a taste of Scotland and a splash of jungle, all wrapped in a beautiful Hawaiian beach-front package. 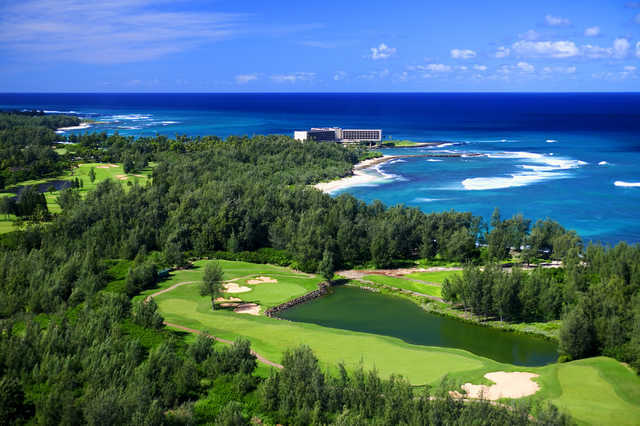 With five miles of beaches, Turtle Bay Resort is the perfect place to gaze at Kawela Bay, Bay View Beach Lawn and Turtle Bay, itself. 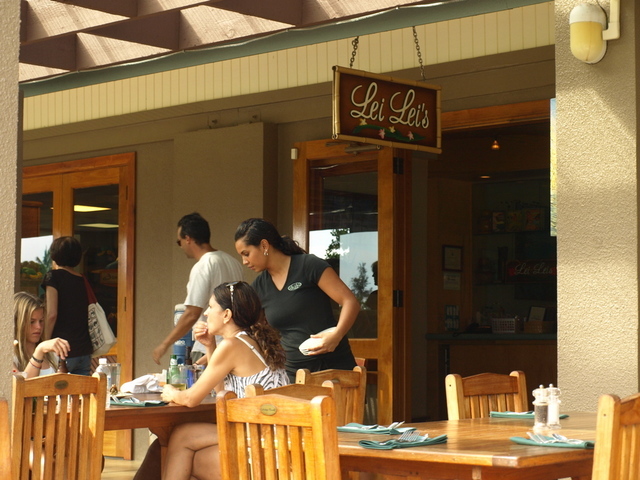 Only 45 minutes from Honolulu, the resort immerses guests in the natural beauty of Oahu. In fact, ocean views are the norm in every one of the resort's 443 rooms. 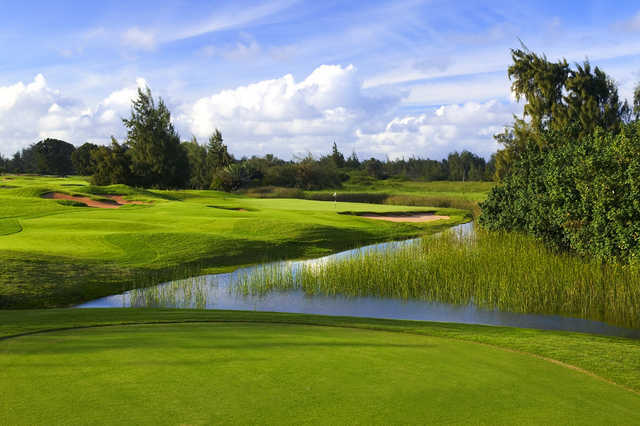 The Palmer Course was designed by Arnold Palmer and Ed Seay and is the home to an annual event on the LPGA Tour. 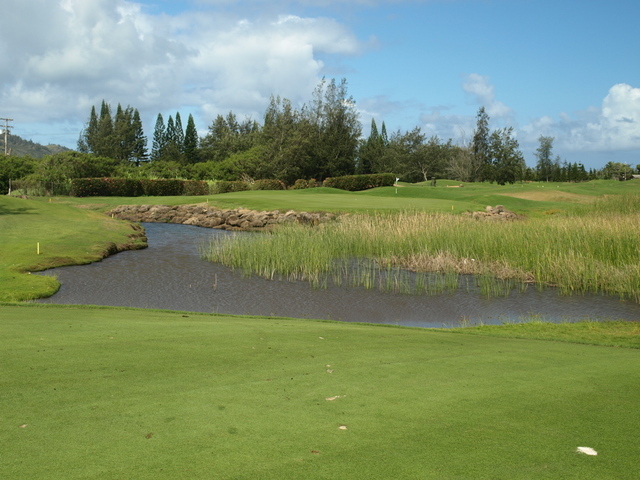 The golf course surrounds a wetland preserve known as the Punaho'olapa Marsh, which is home to many endangered Hawaiian birds. 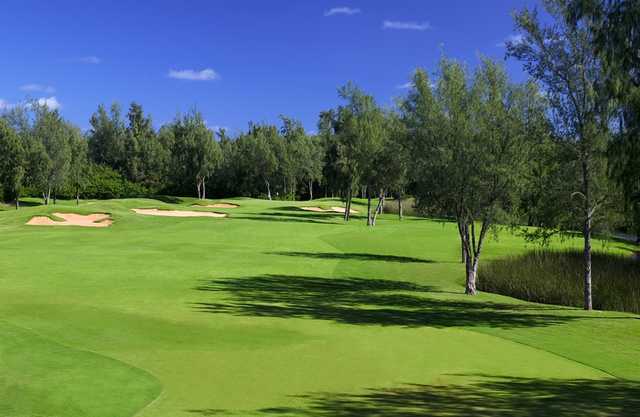 The distinctive 18-hole championship course features a front nine that plays like Scottish Links with sand, water and rolling terrain and a back nine that rolls through a jungle forest of pine. 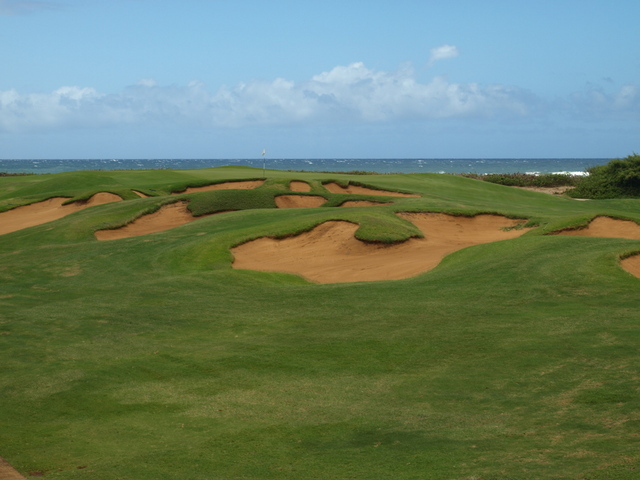 The 17th hole, its signature, has nine bunkers leading up to a green that sits on a plateau 100 feet from the ocean. I can't believe I almost missed out on playing this course because I didn't have a way to get there! Luckily I was able to find HiGolfGuide just in time, and they were able to give my wife and I a free ride. It does take a long time to get out there, but on the way you get a nice little tour of the island. We started early and actually played the Fazio Course in the morning and the Palmer Course right after lunch. The Fazio course was nice but the Palmer course was awesome. The greens were flawless and approach shots didn't even make a mark! 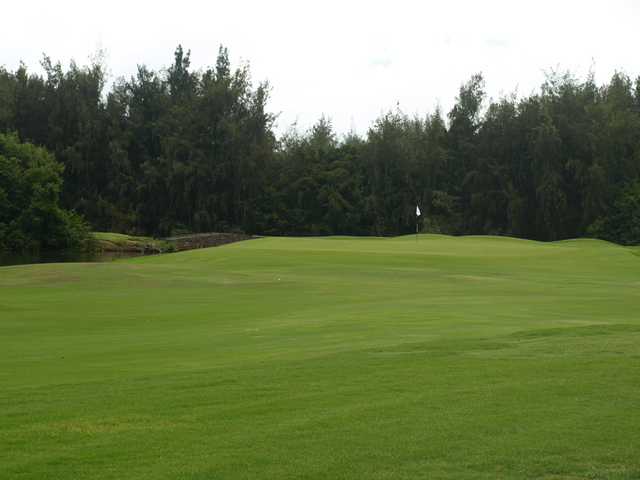 The fairways were like carpet, but the rough was penalizing. The layout was great too, requiring a wide array of shots. This course fulfilled all of my expectations, and I look forward to playing here again. 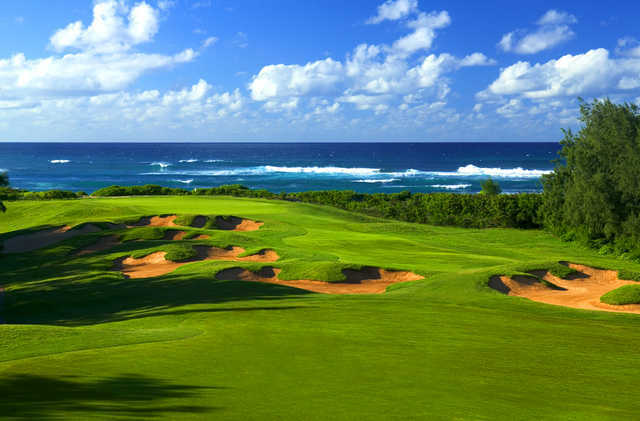 One of the nicest courses on the island. Disappointing. The scenery was average at best. The course was not well marked. Greens and fairways were in good shape. 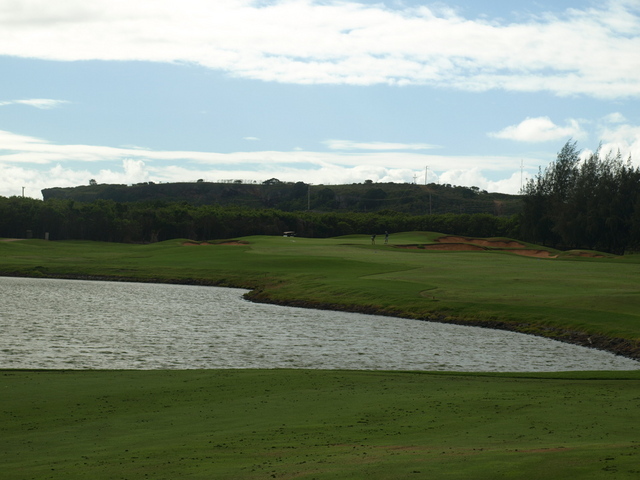 Only 1 ocean view hole and it's not really visible until you're on the green. 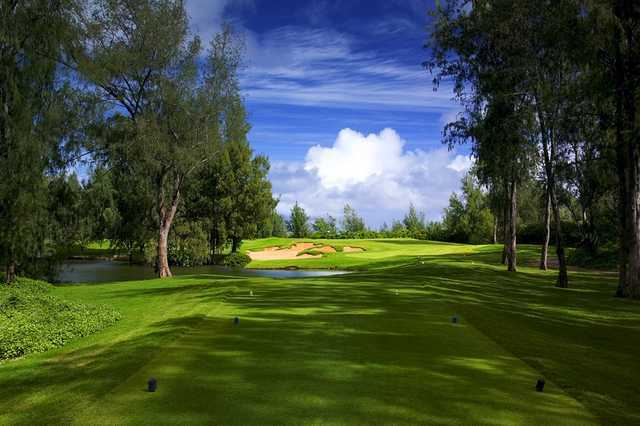 Overall it's a nice golf course but nothing spectacular especially at it's price. From the Blues or grays this is a neat golf course. Starts at the first hole with a dog leg right. Tee box points you left to middle. You can go straight. 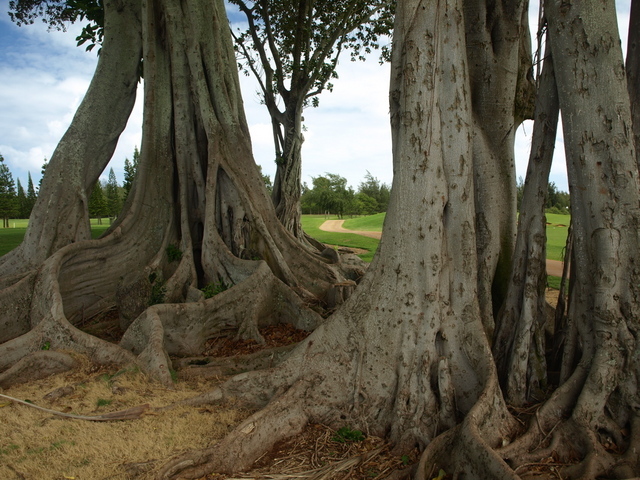 Better players can take it right of Big tree on right side of Fairway and end up in the middle of the fairrway. Good fun. Great shape and very nice practice facility. Incredible resort and the golf courses are in great shape. Stay out of the rough at all costs!! A true test of skill. Just played on Sunday- Palmer Course in phenominal shape. 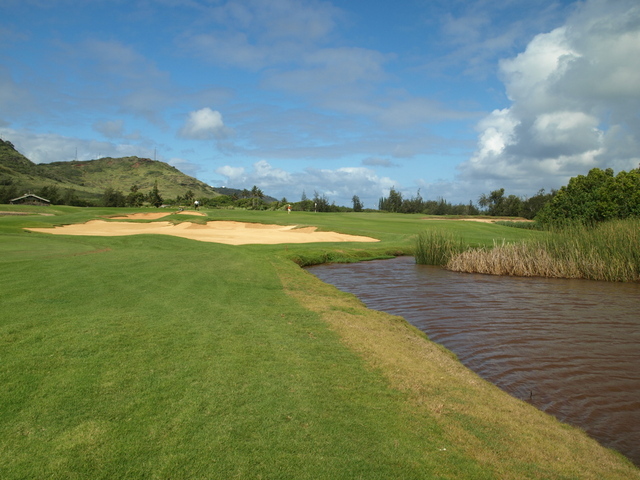 Really interesting and challenging golf course. 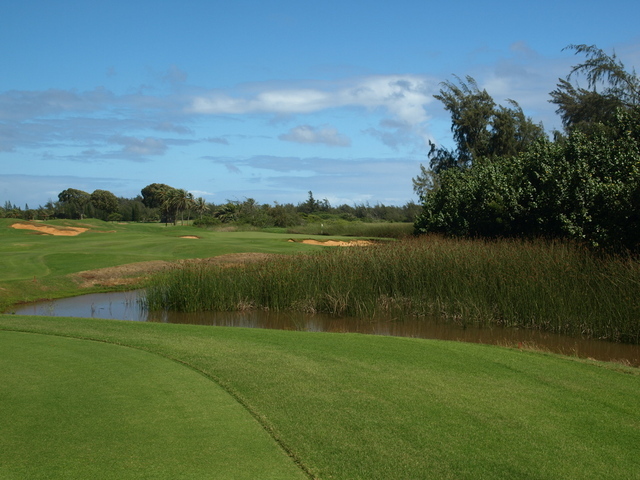 Atypical of Hawaii, lots of different holes, culminating with a spectacular 17th with ocean views. Real golfers appreciate the challenge and thought that went into the design. 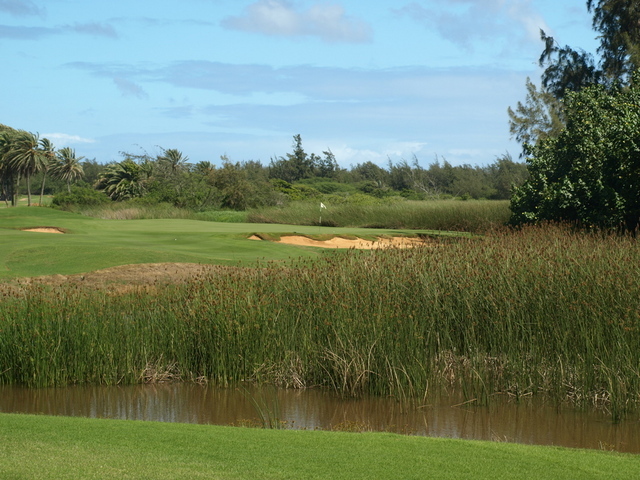 Course was in pristine condition - 16, 17 and 18 are a scenic, but difficult finish. Staff was great - overall experience was first class. 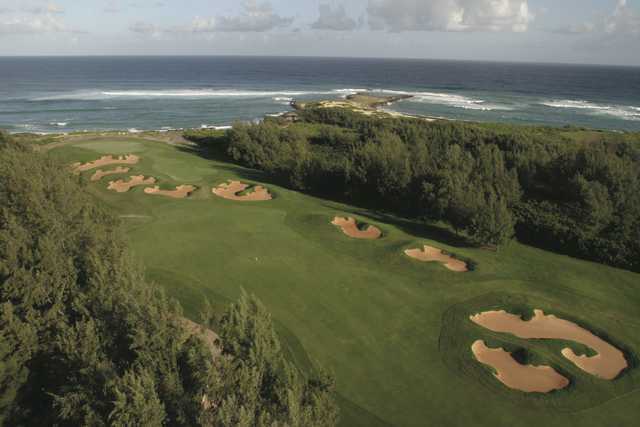 This is the best course at Turtle Bay and the former site of the SBS LPGA event. 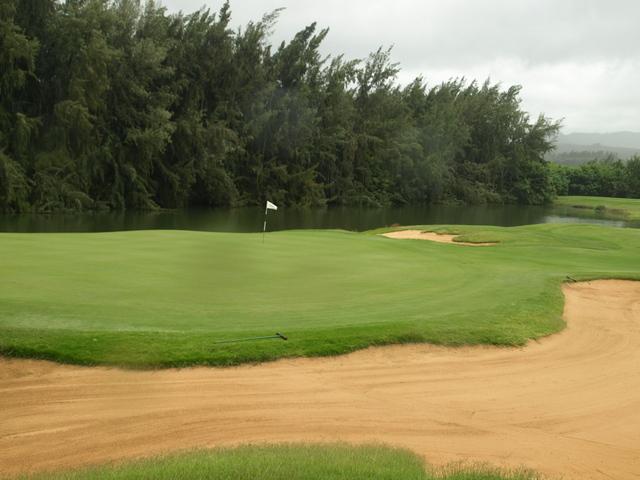 There are a number of tough, attractive holes on this course, winding between water and trees. 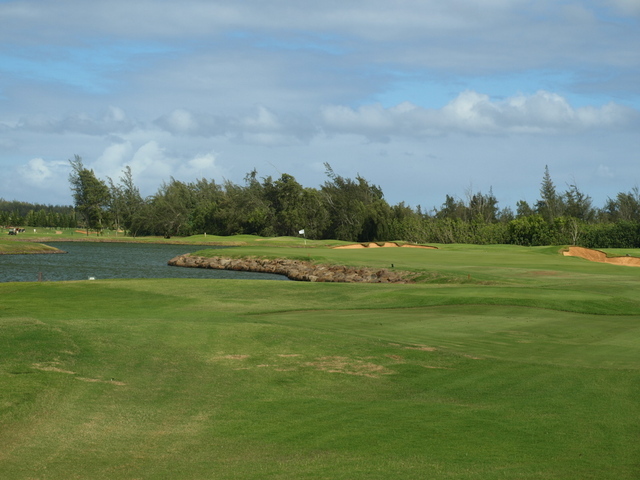 Personally I think the course would benefit from removing some more trees to open up more ocean views, but overall this course is well worth playing. In terms of the resort, the villas down by the water are a great place to stay at Turtle Bay - the waves hit the ocean wall just yards from the large sliding glass doors. 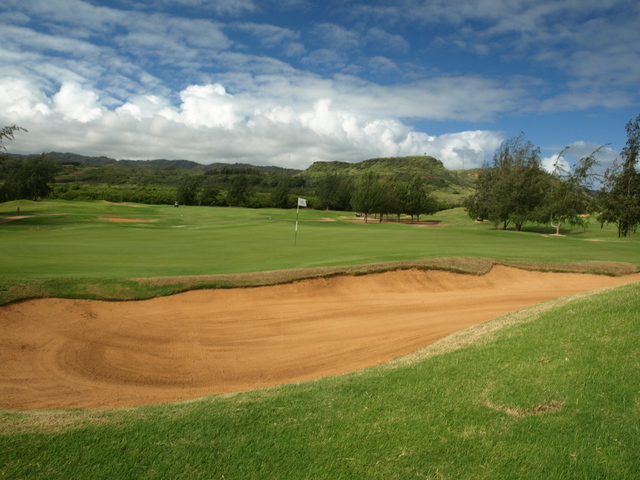 In addition to the Fazio course, which is a decent place to warm up for a round on the Palmer course, the resort has a network of trails which are great for running or horse racing.